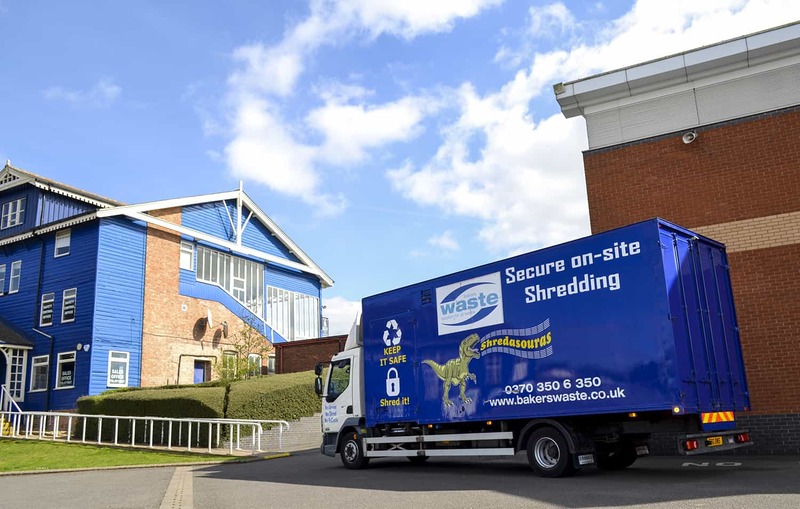 Protect yourself and your clients with Leicester and Northampton’s leading confidential document shredding and disposal service from Bakers Waste Services. With our experienced and confidential service, you can be assured that your document destruction process remains secure and compliant with the Data Protection Act. We provide secure bags and lockable containers for the storage of confidential waste. Confidential waste is securely destroyed off site and a secure destruction certificate is provided. Tailored daily, weekly or monthly confidential waste collection and disposal service as required. Your best call for confidential document shredding is 0370 350 6 350. Alternatively download our confidential shredding service description. Our preferred method of Confidential waste destruction is to recycle where possible. We promote closed loop recycling turning 100% of your shredded paper and confidential waste into recycled paper to be used again. We can offer incineration at a waste-to-energy site, or deep burial dependent upon your requirements for secure destruction (ie out of date stock). Your best call for confidential and secure waste disposal is 0370 350 6 350. Bakers Waste also provides secure on-site paper shredding and secure document destruction service. We also provide waste paper shredding services for Leicester and Northampton businesses. Want to book our confidential shredding service? Get in touch! To run through your confidential waste disposal requirements with a member of our team, give us a call on 0370 350 6 350 or send us a message via the enquiry form below.